I so enjoyed seeing Colson Whitehead speak at TSU almost a year ago – it seems a little strange it’s taken me this long to get to this one! The Underground Railroad is compelling, a story with momentum and imagination. 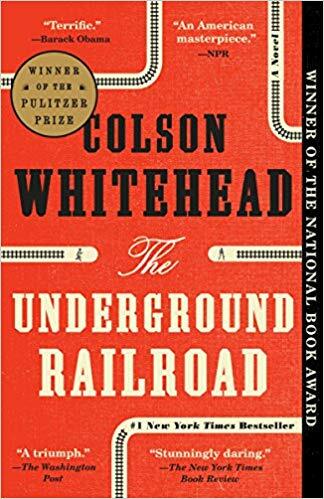 I had forgotten that the underground railroad would turn out, in this book, as a literal railroad that runs underground: that was a fun surprise to experience. “Fun” is not precisely the right word for this book, though. 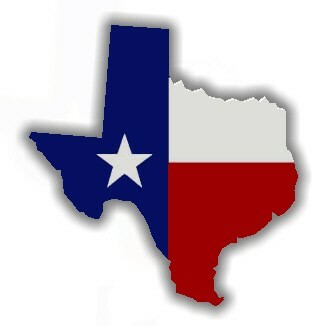 It’s about slavery and the quest for freedom; there is little here that is light or fun. The protagonist is Cora, a young enslaved woman who makes a run for it with a young man, Caesar, who she doesn’t know very well. It begins with a little prefacing history, of Cora’s grandmother and mother before her. Her mother escaped the Georgia plantation where she and Cora were born, never to be seen again. The ghost of that woman hangs over Cora’s decisions and her feelings about those around her. Cora will continue to wonder about the hidden hands who contribute to the quest for a better life, even as that life eludes her in her travels. This is not particularly a story of redemption or of happily-ever-after. Each time Cora survives a brutal and shocking turn of events, she loses those she cares about, and cynically revises her hopes: how stupid (she thinks) she was to think it could get better. The places she gets to know along the way could be viewed as archetypes (remember from Whitehead’s talk that I heard something like this idea): the place where no Black person is suffered to live, where the streets are lined with hanging corpses; the place where life appears secure only on the surface; the place where all can contribute according to their abilities. These steps along the way are instructive. But the book does not necessarily end on a hopeful note. There’s a bit here of something I watch out for in books like this, historical fiction featuring ordinary or marginalized people: Cora perhaps holds a bit more far-reaching wisdom of the world than someone with her life experience might be expected to have. For example, she observes slave labor replaced by cheap Irish immigrant labor, and muses that as the Irish supply runs out or goes out of fashion, another poor country will send its emigrants to form the next wave. This speculation about the poor countries of the world seems like a lot for a woman who’s lived her life on a Georgia plantation to come up with. It’s a clear temptation, especially with benefit of hindsight, to invest one’s apparently “ordinary” characters with special knowledge and wisdom. I appreciated the range of characters. Most of the book is told from Cora’s perspective, but short interspersed chapters come from the points of view of secondary characters, including racist white ones. I imagine those chapters in particular might have been hard to right, but also interesting to write, and they enrich the book by complicating things. Not that the evil slavecatcher gets much sympathy; but hearing his inner thoughts makes him more real, more believable, and therefore more frightening. Complication, in literature, is always good. I believe I expected this book to be magical realism, and I’m not entirely sure that’s my impression after reading it. There’s nothing here (that I noticed) that couldn’t happen in our real and non-magical world. The literal underground railroad would be a feat of engineering and supplies, but not strictly impossible. The good and bad luck (if we can call it that) Cora and others face certainly seems fantastical, but is in line with the well-documented true stories of enslaved people. That said, it was a vibrant, rich way of telling the story of slavery and struggle: one we’ve heard/read before but clearly aren’t done with. The railroad part was fascinating, nicely told. The characters were always intriguing. 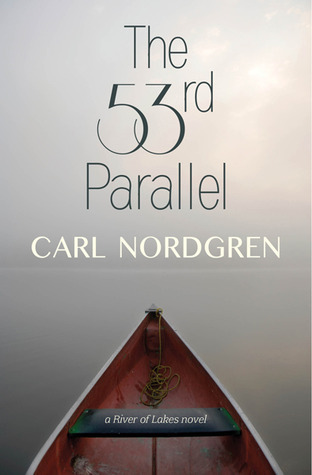 I think pacing may be the great feat of this book: I scarcely was able to look away once I was in it. Thank you, Colson Whitehead. This retelling of the Trojan War by one of the women on the side of defeat is essential, and essentially human. The Iliad is the story of the Trojan War told by the victors, and by men. 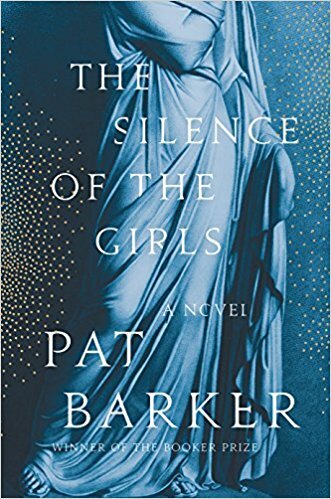 At long last, another perspective is offered, in Booker Prize-winner Pat Barker’s The Silence of the Girls. Briseis was queen of a city near Troy and, after it fell to the Greeks, she was given as prize of honor to Achilles. After Apollo compelled him to forfeit a concubine, Agamemnon took Briseis for his own. This indignity inspires Achilles’s famous sulk, which begins the Iliad. In the tradition of Margaret Atwood’s Penelopiad, The Silence of the Girls is a much-needed retelling. Where men sing of honor and glory, women experience a different war. They are controlled by men: by their fathers and husbands, and then by their captors. Briseis is beautiful and royal; she hates her new status as concubine, but sees the far worse treatment of the “common women” who sleep under the Greeks’ huts, with their dogs, and are used by any man who pleases. She is clever and gives nuanced portraits of many characters in the Greek encampment below Troy’s walls. She is proud, angered by the indignities of slavery. One of the book’s themes is the question of authorship: she knows that it is Achilles’s story that the world will hear, but she searches for her own within narratives of men and war. Strong, beautiful Achilles is cold, but stops short of cruelty. Gentle Patroclus eventually befriends Briseis. Ajax, Agamemnon, Odysseus and Nestor are profiled; but equally important are the other slave women. Briseis has friends, allies and antagonists among them, but always considers their struggles. For example, Ajax’s concubine is one of several women who recommend pregnancy above all other strategies. Briseis does not love her captors. But one of her revelations involves how the Trojans will survive, in the end: the sons of the Greeks will remember the Trojan lullabies their captive mothers sang to them. The Silence of the Girls, like the classic it’s modeled on, is an epic. Briseis’s uncertain situation brings tension and momentum. At just 300 pages, this novel feels much bigger than it is, but is never heavy. Even with the atrocities, violence and loss it portrays, the protagonist’s thoughtful, compassionate point of view emphasizes humanity. It would be too much to say she weighs both sides of an issue evenly; she is loyal to her family and angry with her captors, but she also sees the tragedy in ranks of young Greek boys killed. This mature, reflective narrative manages the cataloging of Homer’s telling (how many tripods offered, how many bowls of wine mixed), but with a grace and an interest in individual people that is fresh and novel. Barker uses metaphor and animal imagery deftly. Her prose flows easily, like storytelling between friends. It’s an absolute pleasure to read for any devoted fan of the Iliad, but equally accessible to those new to the Trojan story; indeed, The Silence of the Girls might make the perfect entry. This review originally ran in the August 9, 2018 issue of Shelf Awareness for the Book Trade. To subscribe, click here. A mule breeder heads west to search out a mythic beast while his daughter struggles quietly at home in this tale of fantasy, hope and risk. In the newspaper, Cy Bellman reads of bones pulled from the Kentucky mud–enormous, ancient bones, belonging to some mythic creature taller than the tallest trees. Grieving his lost wife, he is now transported: he all but stops eating and sleeping, too disturbed to give his full attention to his work as a breeder of mules, or to his 10-year-old daughter, Bess. He can’t help but go in search of the beasts that have so captured his imagination, and leaves Bess and their small farm in rural Pennsylvania in the care of his hard-edged sister, Julie, with the occasional help of an odd neighbor, Elmer. With some weapons, trinkets for trade and a new stovepipe hat, Bellman travels west, toward the wild frontier. 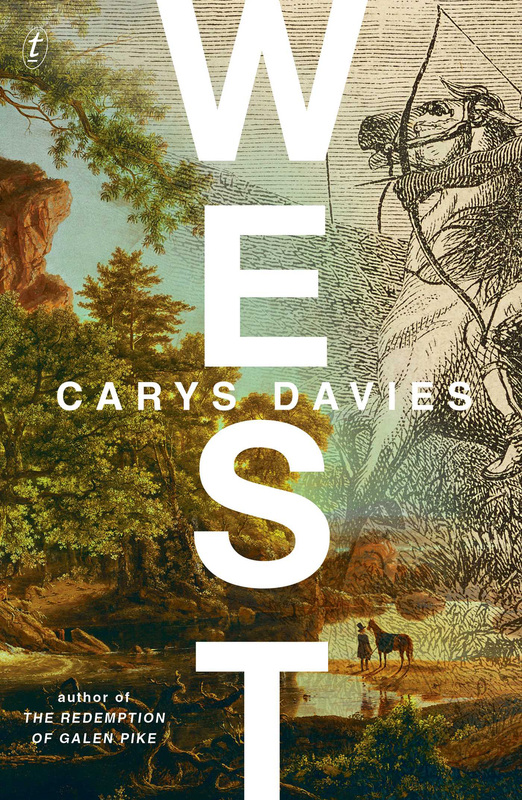 West is Carys Davies’s first novel (though she’s published two short story collections, The Redemption of Galen Pike and Some New Ambush), and it is an epic tale of early 19th-century adventure in a small package. With fewer than 200 pages, its scale is nonetheless mighty, conjuring both history and fable. 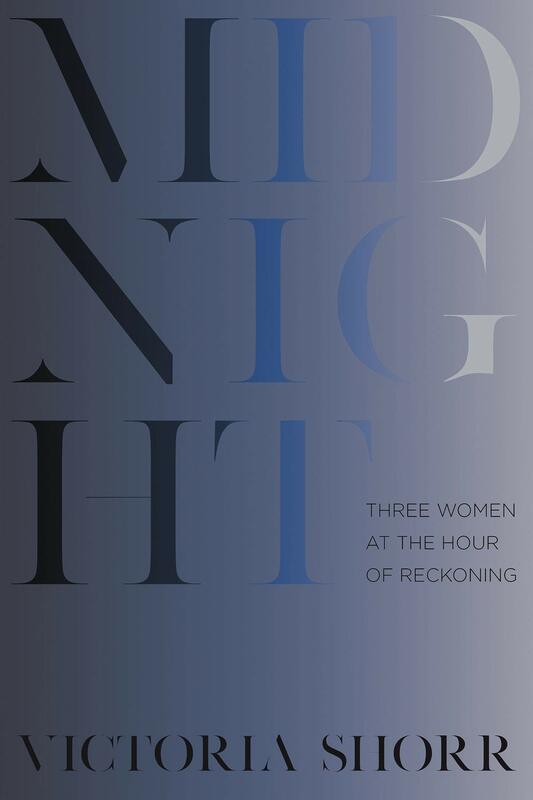 Davies’s simple, conversational prose stays out of the way of her gripping plot. Julie and the town’s citizens think Bellman a fool at best. Bess, however, adores her father, and is heartbroken to be left alone with no books or pleasures, only a motley bunch of mules; her dead mother’s gold ring is hidden away by her unloving aunt. In her father’s absence, she makes up charms for his good luck: “if she made it from the pump to the house without slopping a drop of water over the lip of the bucket, it meant he was in good health.” She takes long walks with her favorite mule, until Elmer’s awkward attentions to the deserted household become too alarming, and she shuts herself up inside. Meanwhile, Bellman wanders the wild countryside, farther and farther south and west, first alone and then with an unlucky Shawnee boy named Old Woman from a Distance for his guide. Bellman’s dreams of the enormous creatures grow vivid, and then less so, as his distance and time away from home increase. He promised Bess he would be gone two years at the most, but as her 12th birthday approaches, his grip on both his promise and his quest look doubtful. West is a novel about family commitments, small-town agitations and the irresistible, fanatic pull of the unknown. Bellman is either enchanted or suffering a good old-fashioned midlife crisis. Davies writes of small fates: hopeful young Bess, bitter Julie, the enigma of slovenly Elmer, and Old Woman from a Distance, with a troubled past of his own. This quick, compelling read will please lovers of historical fiction, legendary quests and stories of humble familial devotion. It may prove as hard for Bellman to find happiness at home as to find the monstrous “animal incognitum” he seeks. Readers, however, are the richer for his efforts. This review originally ran in the April 3, 2018 issue of Shelf Awareness for the Book Trade. To subscribe, click here. With enthusiasm and verve, in the style his fans love, Brian Doyle re-creates a novel Robert Louis Stevenson intended to write. 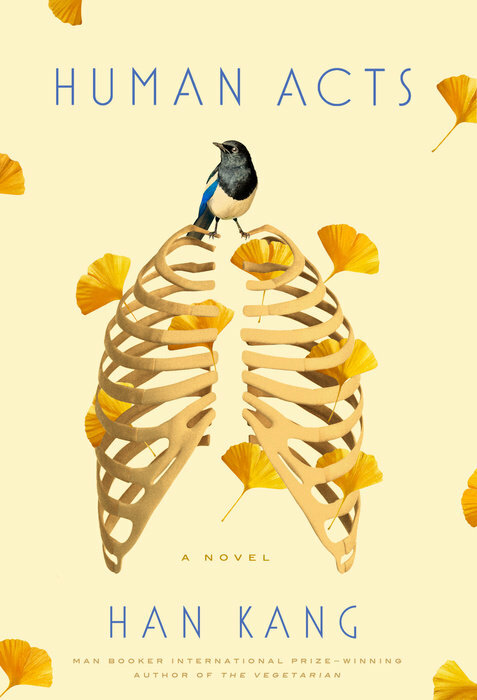 In a novel with layers of authors, Brian Doyle (The Mighty Currawongs; Martin Marten) honors the art of storytelling. 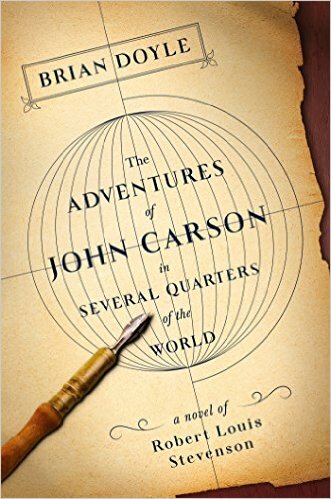 The Adventures of John Carson in Several Quarters of the World is firmly based in fact: Robert Louis Stevenson boarded for some months at the home of Mrs. Carson in San Francisco while waiting to marry his love, Fanny. He conceived of a novel based on the tales of his landlady’s husband, but never wrote it. Doyle imagines what stories Mr. Carson might have told, and the style in which Stevenson might have written them. Doyle calls upon other published accounts of Carson’s and Stevenson’s acquaintances, including Mark Twain and scientist Alfred Russel Wallace. In Doyle’s imagination, Stevenson sits by the fire with Mr. Carson as the latter recounts his voyages around the world as a seaman and his experience as a Union solider in the Civil War. This talented storyteller takes Stevenson (and Doyle’s reader) through the jungles of Borneo, over the rocky hills of Irish islands, from coast to coast of Canada in winter, to Australia’s Sydney Harbor and to the battlefield at Gettysburg. Mrs. Carson turns out to be as fine a narrator as her husband, and both have a knack for ending on a cliffhanger just as dinner is ready. As he recounts the Carsons’ feats, Stevenson also explores the sights, smells and steep hills of 1880 San Francisco, and touches on his romance with Fanny Osbourne, herself a worthy, headstrong character. Doyle’s characteristic prose style is effusive, wry, highly descriptive and always passionate about his subjects. Throughout this story of stories runs a thread of commentary on the value and nuances of the storytelling art. Stevenson constantly refers to his ambition and makes notes for future works: “Hyde would be a lovely name for a character,” he muses, and imagines a novel in which a “sudden shocking kidnapping would set the prose to sprinting.” In several passages, Doyle-as-Stevenson extols the power of storytelling, the universal need for tales of adventure, the urgency of getting them out–he even worries what the “disconsolate reviewers” might say. Readers hungry for more stories-upon-stories will delight in Doyle’s “Afterword” and “Thanks & Notes,” which are filled with recommendations for further reading (what he calls “homework”). Stevenson’s rollicking zest for adventure blends happily and seamlessly with Doyle’s unrestrained love of words and life. Adventures offers daring exploits, romance and emotional highs and lows, but perhaps most of all, a celebration of stories. Doyle’s signature style expresses this joyousness perfectly. This review originally ran in the March 2, 2017 issue of Shelf Awareness for the Book Trade. To subscribe, click here. Rating: 8 stories, of course.